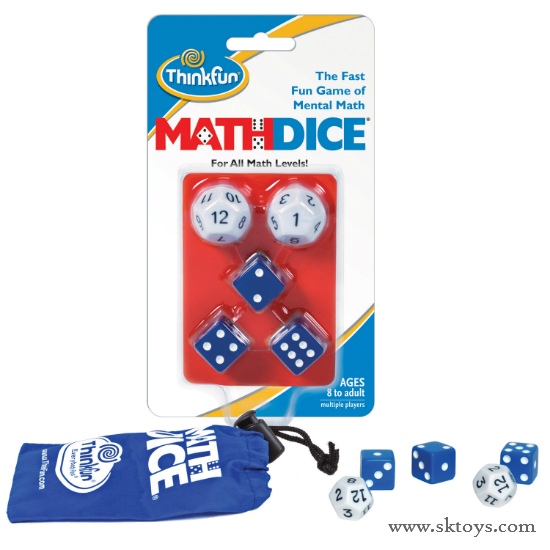 Math Dice is the fast, fun game of mental math. 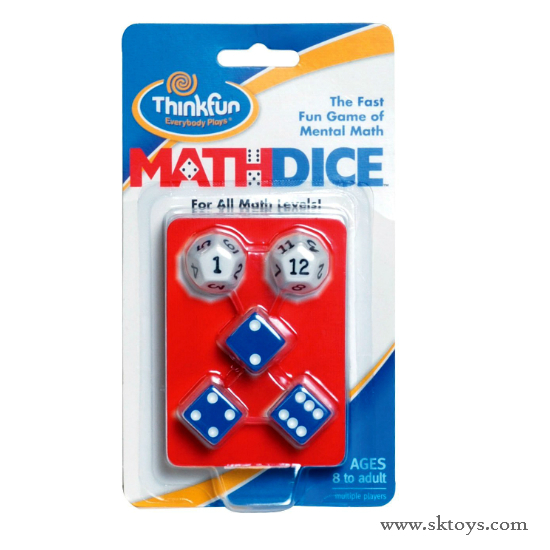 Roll the two 12-sided target dice and multiply them to get your target number. 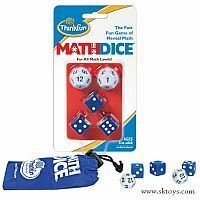 Then roll the three scoring dice and as fast as you can, combine these three numbers using addition, subtraction, multiplication, division or even power to form an equation that is closest, or equal to, the target. This challenging game helps players sharpen math skills and keep brains sharp. See how much fun math can be! For multiple players. Measures approximately: 3.75 x 6.75 x 1.50 inches..